The White House is seriously considering a new policy that would penalize legal immigrants seeking permanent status for accepting health-care services paid for by the government. The rule, which is expected to be officially announced soon per NBC News, would change the definition of when a legal immigrant is considered a "public charge" to the government, and impact the decision over whether they qualify for permanent resident status. The mere suggestion of the expanded policy has already had a "real chilling effect" on immigrants using health-care services, Alberto Gonzalez of the advocacy group Community Catalyst told me. Doctors have "witnessed examples on the ground of people not wanting to access their local providers because they’re afraid if they take their kids for a checkup it will be communicated to the federal government." If implemented, the implications for health care would be sweeping. A new report published in the New England Journal of Medicine this month determined that the number of immigrants who wouldn't access Medicaid and the Children's Health Insurance Program (CHIP) because of the policy would result in at least one million people becoming uninsured. Gonzalez said mental illnesses may go untreated, kids will miss pediatric visits, and families will forgo preventive care, like cancer screenings. Advocates say another effect of such a policy would be that legal immigrants may also refuse social services like health care because they think it will negatively impact their hope of bringing their kids, or other relatives, across the border to join them. The draft policy suggests an immigration caseworker could deny a visa based on the use of public benefits by anyone in the immigrant sponsor's household. Democrats are pouncing on this possibility following the uproar over now-ended separations of thousands of migrant families at the border under Trump's "zero tolerance" immigration policy. An organization in Denver, called the Mile High Health Alliance, surveyed health providers to see whether they'd noticed a dropoff in their immigrant patients. Of those who responded, 87 percent said there had been a decrease in appointments made by immigrants since the beginning of the Trump administration and 66 percent said there'd been an increase in "patients expressing concern about having their personal information shared with other agencies that might jeopardize their continued residency in the country or legal status." In June, Minnesota Gov. Mark Dayton (D) sent a letter to the White House Office of Management and Budget echoing those findings. "Sadly the rule is already having an effect, regardless of the fact that it has yet to be released, social service providers in Minnesota report that just the prospect of this draft rule has begun causing children and adults to fear accessing safety net programs," he wrote. Dr. Benard Dreyer, a past president of the American Academy of Pediatrics, told me that many of his patients aren't signing up for food stamps or for infant formula through the Women, Infants, and Children (WIC) program out of fear that it will hurt their chances of staying in America. Dreyer, who works at Bellevue Hospital in New York City, estimated about 90 percent of his patients are immigrants. He and the other pediatricians are currently discussing how to best communicate to their patients that no policy has changed yet and there's more potential damage if they don't get, for instance, proper nutrition for their children or routine immunizations. "I have patients who say I won’t sign my kid up to preschool even though universal pre-K is not a means-tested program, but the fear is pervasive," Dreyer told me. "Already a huge amount of damage has been done because of the fear in the immigrant community." Asked for HHS's reaction to the impact this policy could have on immigrants' health, a spokesperson responded in an email: “As a matter of policy, HHS and CMS do not comment on alleged, leaked documents." Most of the anti-immigration rhetoric from the Trump administration has focused on undocumented immigrants, so what makes this proposal different is it exclusively affects people lawfully admitted or seeking lawful admittance into the country. It would even affect children who are U.S. citizens if their parents are not and thus afraid to take advantage of benefits. Immigration advocates accuse Trump officials of seeking to enact a policy that targets low-income, Latino or black immigrant communities where there are already deep disparities in health care. In a call with reporters Tuesday afternoon, Marielena Hincapié, executive director of the National Immigration Law Center, said such a rule sets up an impossible choice for all but the richest immigrants. She said it would have the broadest impact of any immigration proposal in recent memory, with the potential to affect tens of millions of people. "A common thread is [Trump is] attacking families at their core," she said. "This proposed regulation is at the top of their anti-immigrant wish list. DHS spokeswoman Kate Waldman told the Post in March that proposed changes are "intended to protect the American taxpayer by ensuring that foreign nationals seeking to enter or remain in the U.S. are self-sufficient." It's notable then that a study published in the International Journal of Health Services released Wednesday morning found immigrants pay more into the health-care system than they receive. Immigrants account for 12 percent of the population but only account for 8.6 percent of total U.S. health-care expenditures while U.S.-born individuals account for 90 percent of the population but 93 percent of expenditures, the researchers wrote. Most of the data they analyzed was from before the ACA was implemented. But Wesley Boyd, a Harvard psychiatry professor who participated in the study told me he believed the findings would now be more robust because "there would be more immigrants subsidizing health insurance for native born Americans than we found in our study, and that therefore the contribution that immigrants make to the bottom line of the US healthcare system would be even greater." "It is unlikely that restrictions on immigration into the United States would result in a meaningful decrease in health care spending. To the contrary, restricting immigration would financially destabilize some parts of the health care economy," the researchers concluded. Until there's a final rule, immigration advocates' greatest concern is that immigrants don't seek health-care services that they need now. "We’re hearing stories about families worried that they want to sponsor a family member but counseled to get family off of benefits as to not jeopardize that family member’s visa," said Jackie Vimo, policy analyst at National Immigration Law Center. "Immigration law is extremely complicated. A big piece of how this works is the chilling effect, The families who don’t understand the nuances are going to play it safe." AHH: The Centers for Medicare and Medicaid Services announced yesterday that for the first time it would allow Medicare Advantage plans to impose “step therapy” under "Part B" drugs. 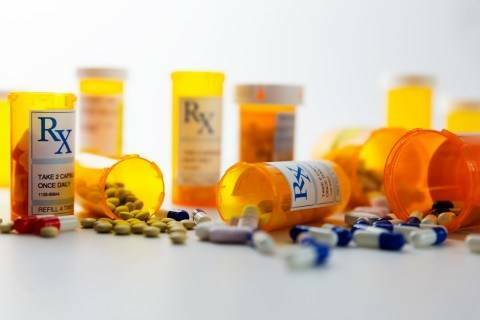 The change essentially allows patients to try out less expensive or generic versions of drugs before turning to more expensive ones. It's part of the latest move by the Trump administration to implement its blueprint to lower drug prices. OOF: Large employers in the United States will have to pay more for health coverage next year, according to a new report from the National Business Group on Health, marking the sixth straight year that such benefit costs have increased. Employers are expected to shell out $14,800 per employee, up 5 percent from $14,099 in 2018, Modern Healthcare’s Shelby Livingston reports. “This is consistent with the last five years, but consistent doesn't mean good,” Brian Marcotte, president and CEO of the National Business Group on Health said ... “Top-line medical trend is still running two times wage increases and three times general inflation, which continues to threaten affordability for all Americans.” And Shelby notes the costs will go up for employees, too. “Employers pick up about 70% of the tab for health coverage, while their workers pick up 30%, or $4,400, through premium and out-of-pocket expenses, such as copayments or coinsurance,” she reports. As a way to save on spending, the report also found employers are using high-deductible health plans less frequently. “About 91% of employers offer at least one high-deductible plan. But for the first time in four years, the number of employers offering those plans as the only option is projected to decrease from 39% this year to 30% in 2019,” Shelby adds. OUCH: A new report from the Centers for Disease Control and Prevention has found one in seven babies who were exposed to the Zika virus during pregnancy have “significant, ongoing health issues,” our Post colleague Ariana Eunjung Cha reports. The report found 6 percent of the babies had birth defects such as small head size, or brain and eye damage; 9 percent had at least one neurodevelopment issue like seizures or difficulty swallowing; and 1 percent of the babies had neurodevelopment issues as well as birth defects, Ariana writes. The findings are based on an analysis of 1,450 children born in Puerto Rico and the U.S. Virgin Islands whose mothers had confirmed cases of Zika while pregnant. — A Palm Beach doctor, a lawyer and the chairman of Marvel Entertainment make up a trio that are reportedly pulling the puppet strings at the Department of Veterans Affairs from the president’s private Mar-a-Lago Club, according to a report by ProPublica’s Isaac Arnsdorf. — The Food and Drug Administration announced an expansion to its recall of valsartan, a commonly used treatment for high blood pressure and heart failure, because of a potential contamination of a cancer-causing chemical, N-nitrosodimethylamine. The agency initially issued a voluntary recall last month, but has since expanded it twice, “to include additional products from more drug companies, as well as some tablets with valsartan and hydrochlorothisazide,” USA Today’s Mike Snider reports. — Express Scripts said it plans to drop dozens of drugs next year from its list of covered treatments, a move that comes as pharmacy benefit managers are increasingly becoming targets in the debate over high drug prices. Citing a lack of movement from drugmakers to lower their prices directly, the top PBM said it would drop 48 drugs and “emphasized that it wasn’t just focusing on rebates and will be excluding numerous brand-name drugs from coverage because there are generic drugs or other brands with lower list prices that make them a better overall deal,” Bloomberg’s Robert Langreth reports. The report adds the changes will affect Express Scripts’s main formulary — PBMs like Express Scripts negotiate rebates from pharmaceutical companies in exchange for including that company’s drugs on these formularies, or lists of drugs covered by insurers. “For example, Express Scripts said that next year it will cover Symfi, a new HIV combo pill from Mylan NV that the benefit manager said has a 40 percent lower list price than Atripla. Express Scripts will also cover Merck & Co.’s lower-cost hepatitis C medicine Zepatier,” Robert writes. — Billionaire activist Carl Icahn penned an open letter published yesterday to fellow shareholders of Cigna to publicly oppose the $54 billion deal to acquire Express Scripts. — The World Health Organization said vaccinations could begin in Congo as soon as today in the fight against the latest outbreak of Ebola. A genetic analysis has confirmed that the strain of Ebola connected with the latest outbreak is the Zaire strain, which can be treated with a vaccine, the Associated Press reports. The strain is the same as the most recent outbreak in Congo that was just declared over on July 24, but the outbreaks are not connected, according to WHO’s emergency preparedness chief, Peter Salama. — Health officials in Ohio say that 624 people got sick after eating at a Chipotle restaurant outside of Columbus last month, our Post colleague Eli Rosenberg reports. The individuals reported eating at the Chipotle between July 26 and 30 and suffering from gastrointestinal symptoms, according to the surrounding county’s Delaware General Health District. The chain voluntarily closed that specific restaurant last week for 24 hours after the illnesses were reported, Eli writes, to replace the food and sanitize the restaurant. Since reopening, there have been no reported illnesses. A lawyer Ron Simon says “his firm had been contacted by more than 100 people who had been sickened, including some who were hospitalized, and he expected to be filing more lawsuits soon,” Eli writes. The mayor’s office advertised — then deleted — a federal abstinence-only grant program. 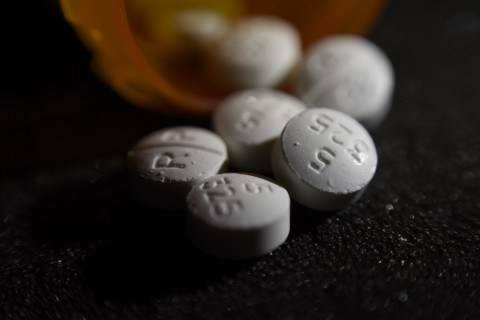 Many employees of the city of Chicago may no longer get more than seven days worth of prescription opioid painkillers at a time — a move aimed at fighting Illinois’ opioid addiction epidemic. 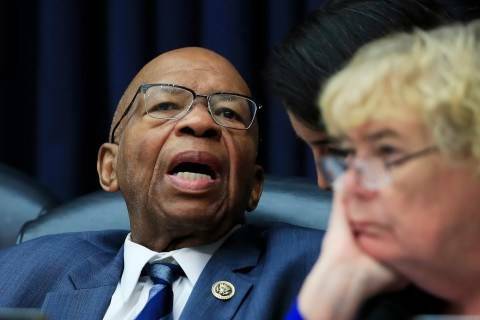 Rep. Elijah Cummings, D-Md., is demanding the Trump administration answer questions surrounding the potential scrubbing of Obamacare content on federal websites. 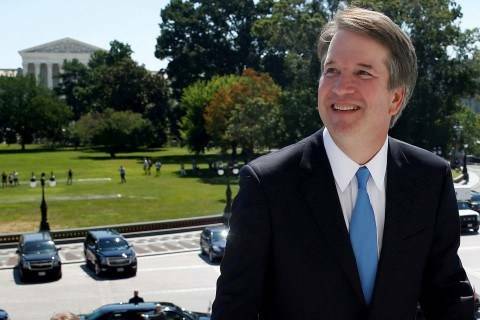 Advocacy groups opposing Brett Kavanaugh's nomination say they're ramping up the pressure on key senators during this week's congressional recess. 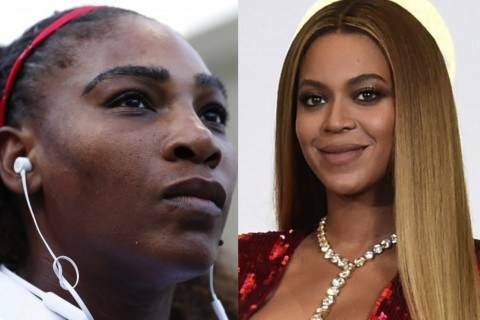 Black women are three to four times as likely to be at risk of pregnancy-related deaths as white women, according to the CDC. The FDA holds a meeting of its antimicrobial drugs advisory committee. FDA Commissioner Scott Gottlieb speaks at an event hosted by the National Health Council on Friday. Wife of deported veteran: "You're punishing my husband, who served this country:"